As this year nears its end, iTunes has published a look back at 2011’s best iPhone and iPad apps. Let's take a look at some of this year's winners. Instagram, who is now working on an Android version to add to its arsenal, has come away with the iPhone App of the Year award. The photo-sharing app amassed a huge following this year due to its filtered effects and social networking features. The iPhone Game of the year title has been given to Tiny Tower, the game that lets you “build a tiny tower and manage the businesses and bitizens that inhabit it.” Unsurprisingly, the top selling paid app was Angry Birds and the top downloaded free app was Facebook. The top grossing app was Tap Zoo. On the iPad side of things, Snapseed photo app took iPad App of the Year, while Electronic Art’s Dead Space nabbed iPad Game of the Year. When looking at top selling, downloaded, and grossing apps on the iPad, Angry Birds hogged the top spot in all three categories between Angry Birds HD and Angry Birds HD Free. 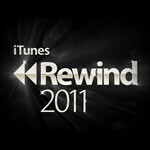 If you’re interested in all the runners-up or the winners in other categories, such as Music, Movies, TV Shows, Books, and Podcasts, fire up iTunes and head over to the iTunes Rewind 2011. The first Infinity Blade was so repetitive it was boring after a few hours. It would have been a good game for 99 cents for the eye candy, but there are much better apps out there. Tiny toweres? Its tiny wings that won did it not?